HERE IS THAT DURAMAX YOU HAVE BEEN LOOKING FOR!!! 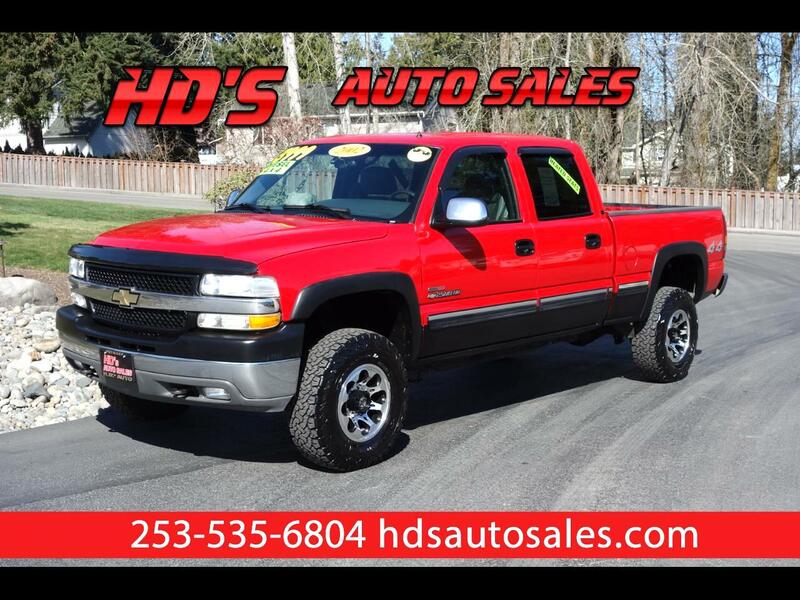 THIS 2002 CHEVY SILVERADO 2500HD CREW CAB COMES WITH THE FULLY LOADED LT OPTION PACKAGE, ALLISON TRANSMISSION, AND THE POWERFUL 6.6L DURAMAX ENGINE!!! THIS NICE TRUCK IS LOADED UP WITH LEATHER HEATED SEATS, ALL THE POWER OPTIONS, AND SO MUCH MORE!!! THESE TRUCKS ARE GREAT FOR ALL OF YOUR TOWING AND HAULING NEEDS WITHOUT COSTING A FORTUNE!!! COME SEE FOR YOURSELF WHY THESE DURAMAX TRUCKS ARE SO POPULAR!! !